and The ENIGMA research team. The ENIGMA research team is focused on answering a single, compelling question in astrobiology: How did proteins evolve to become the predominant catalysts of life on Earth? Proteins are nanomachines that enable cells to generate energy and self-replicate. The emergence of these nanomachines allowed early life to convert chemical energy in the environment into useful biologic energy. How? Once life emerged, it rapidly evolved thousands of protein folds that used metals from the environment to move electrons around. 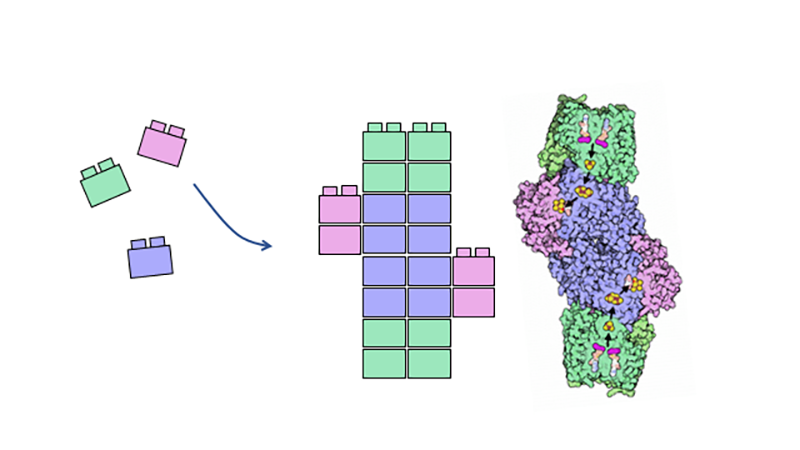 At the heart of these proteins are simple protein modules that are repurposed throughout evolution to build modern protein machines. The earliest peptides were likely, small and simple, but still able to perform important biological functions. Pictured here is a proposed primordial peptide ‘ambidoxin’ that could have moved electrons through early metabolic pathways. 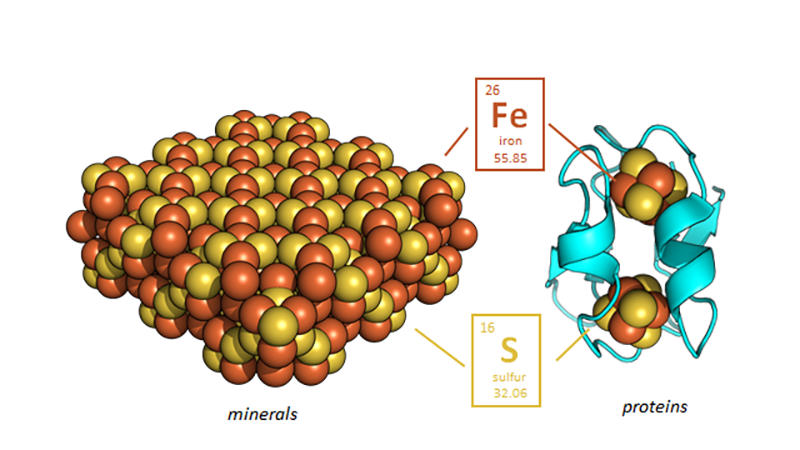 The peptide binds iron and sulfur, which were likely abundant in the early ocean. 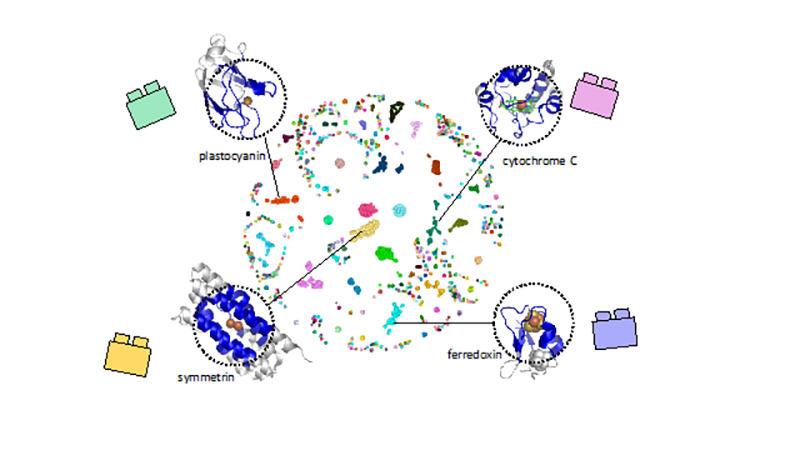 Modern proteins are assembled from modules that evolved early in Earth’s history. The pathway of evolution from mineral to modern proteins. We really do not know. 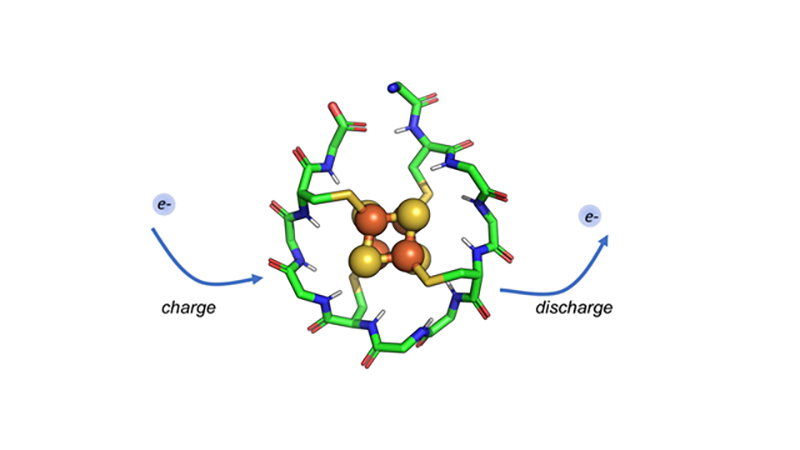 How life evolved proteins that catalyze electron transfer reactions requires an understanding of how 20 racemic amino acids formed polymers that converted environmental energy into the driving force of life. In all extant organisms on Earth, electron transfer is facilitated by these nanomachines, which form the core of metabolism and catalyze fundamental biologic reactions including anoxygenic and oxygenic photosynthesis, anaerobic and aerobic respiration, and nitrogen fixation. The origin of these nanomachines on Earth and their evolution in microbial ancestors remain an enigma. 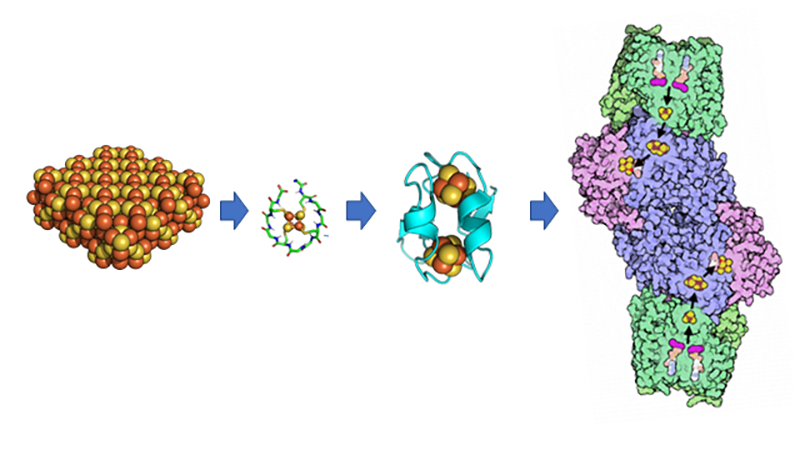 The focus of the ENIGMA program is to understand the evolution of the protein nanomachines that mediate electron transfer. We seek to understand the origin of catalysis, the evolution of protein structures in microbial ancestors, and the co-evolution of proteins and the geosphere through geologic time. ENIGMA has three focused, integrated research themes. Click here to learn more about them.